The perfect starting point for your discovery tour in our region is this cozy cabin. Relaxed you up in the morning and plan the day's activities at breakfast in the dining area. The fully equipped kitchen is just waiting for you to prepare tasty meals here and has everything you need for self catering. Evenings you can spend alone watching TV, you can also watch DVDs there or let the impressions of the day on the terrace with a glass of wine relive. 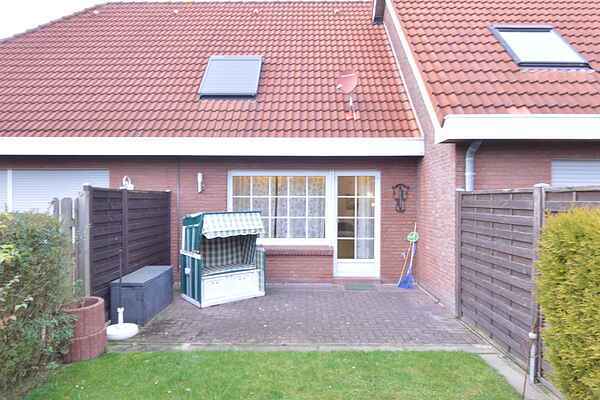 The house "Am lüttjen Siel" offers a washing machine for longer stays at the inviting North Sea coast. There are two toilets available and it includes a car parking space is also the house.The health resort Norddeich offers many attractions for your Nordseeurlaub. Whether you're planning a relaxing family holiday or an active holiday, for each there is the right offers. Numerous museums, the seal sanctuary, leisure facilities such as swimming or golf, children's playhouses, mini golf, sandy beach (for dog owners), and more. Experience walks in the sunset and the UNESCO World Heritage Wadden sea or land and people get to know the diverse gastronomy only a few more options for planning your vacation. You want to stroll and shop? This is also possible. The oldest city in East Friesland offers, book today your memorable stay at our Coast.